McDonald's Courts Mom Bloggers When Changing The Menu : Shots - Health News McDonald's says it overhauled its Happy Meal after listening to customers. But which ones? Turns out the company is actively reaching out to mom bloggers, whom it calls "key influencers" in the conversation over healthy eating. When McDonald's announced plans Tuesday to overhaul the Happy Meal — downsizing French fries and adding apples to to every kids' meal — the company's top brass used every communication trick they know to get the message out: Twitter, Facebook, and more. And they didn't just invite journalists to their webcast announcing the overhaul; they also invited select bloggers — namely, mom bloggers. 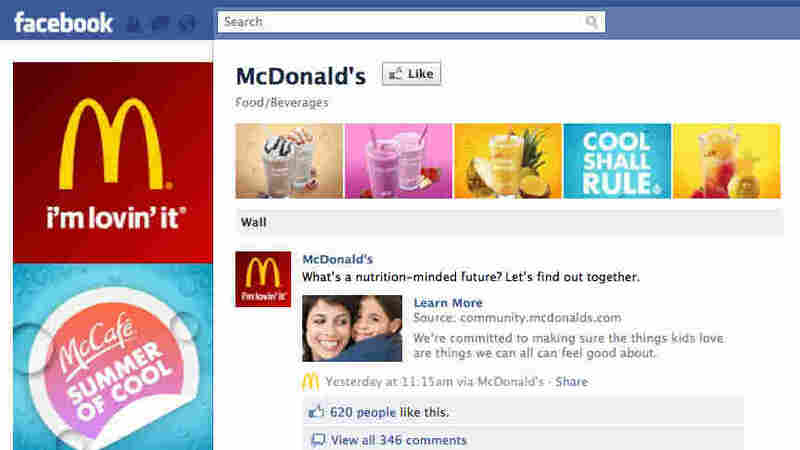 "Mom bloggers are very networked and very linked-in," Rick Wion, director of social media for McDonald's, told me. "They spread information very, very quickly." Next week, at the BlogHer conference — a huge gathering of women bloggers — McDonald's will be there. Last year, McDonald's used the venue to help with the national launch of its new oatmeal. "I have to say, McDonald's oatmeal was delicious," says blogger Stefania Pomponi Butler, who first tried the oatmeal at the conference. "It had fresh chopped apples and raisins and cranberries!" Pomponi Butler writes a blog called City Mama from her home in California, and her vibe is decidedly foodie. On Monday, for instance, she posted a beautiful photo of Spicy Nectarine Refrigerator Pickles that she "whipped up" with her two daughters. "We love to cook," she told me. But she's also a pragmatist. So on the issue of fast food? She says she finds herself at McDonald's every once in a while. "I mean, it's definitely not an everyday occurrence," says Pomponi Butler. "It serves a time and place. It's more for the drive-thru, the convenience." Her daughters have always gotten the Apple Dippers instead of the fries, so the Happy Meal news doesn't mean a lot to them. But industry leaders know that these kinds of moms — those who visit in moderation and have much higher expectations about overall nutrition and eating habits — are important to the conversation. "Moms listen to other moms more than they listen to other folks," says Wion. And with the authentic mom-to-mom communication, they sway each other. Moms don't always dish out complimentary things about McDonald's. Some are resentful about the bombardment of advertising towards their children, some rant about the commercial Happy Meal toys with movie tie-ins. Wion will continue his work engaging with mom bloggers, whom he considers to be "key influencers." His team is taking mom bloggers on field trips to its corporate headquarters and to farms that supply McDonald's foods. They're also starting an invitation-only community for the most influential bloggers. Because in this day and age,Wion says, some mom bloggers get more eyeballs than a city newspaper.